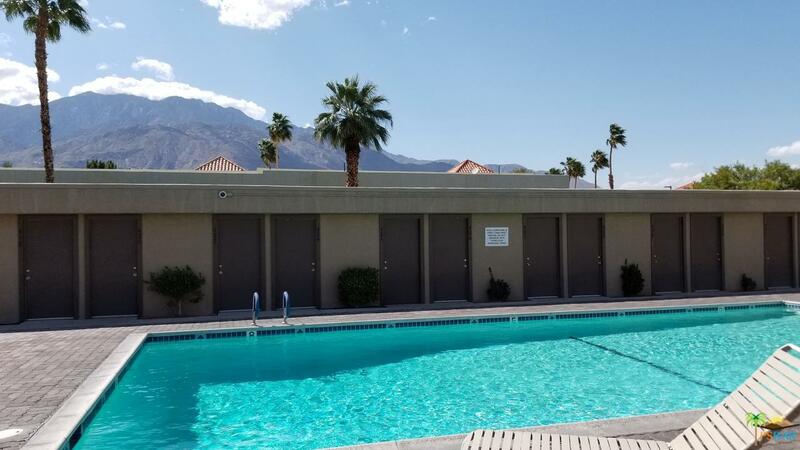 Beautiful 2 bedroom Palm Springs Condo on FEE LAND close to downtown, airport, golf courses and everything the city has to offer. This unit has been immaculately maintained with upgrades throughout including flooring, plantation shutters, paint, counters and hardware, removal of popcorn ceiling, high end moulding and finishes. 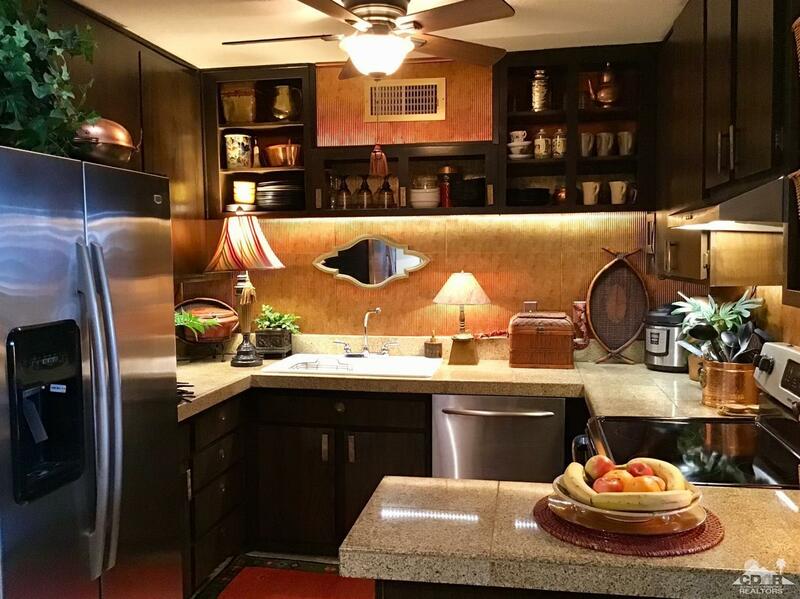 Shows wonderfully with excellent patios, stylish kitchen and functional layout. 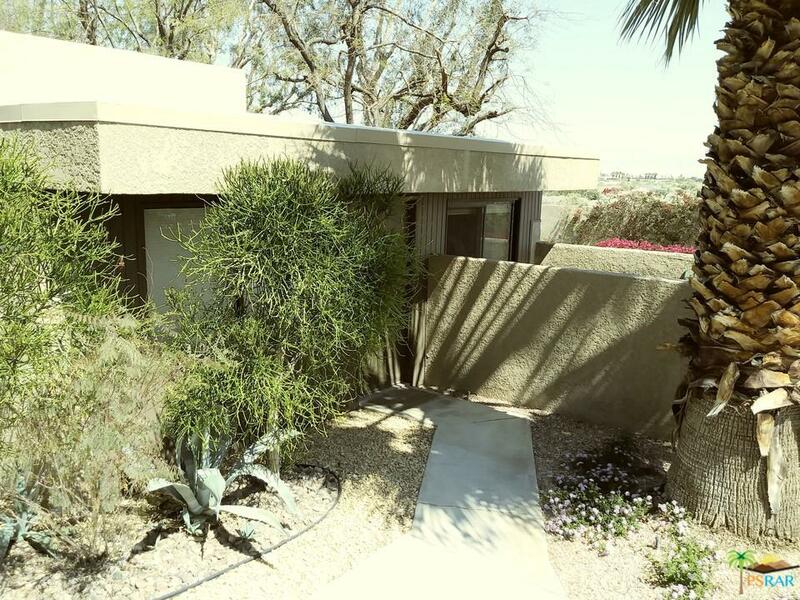 One of only a handful of 2 bedroom Palm Springs condos on fee land under 200k. The grounds crew in Pueblo Sands is outstanding, one community pool is always heated (two pools, heating alternates by year) Brand new roof and skylights. AC is 6 years old with almost no summer usage and HWH is 8 years old with minimal usage. Gate replacement and repaving of the common parking areas are planned for completion within the year. 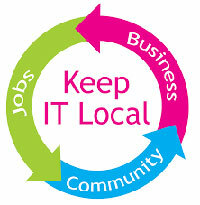 Seasonal rental rates in the community are over $2,000 a month. Low HOA's include water and trash! This is a true Palm Springs gem, Don't miss out!